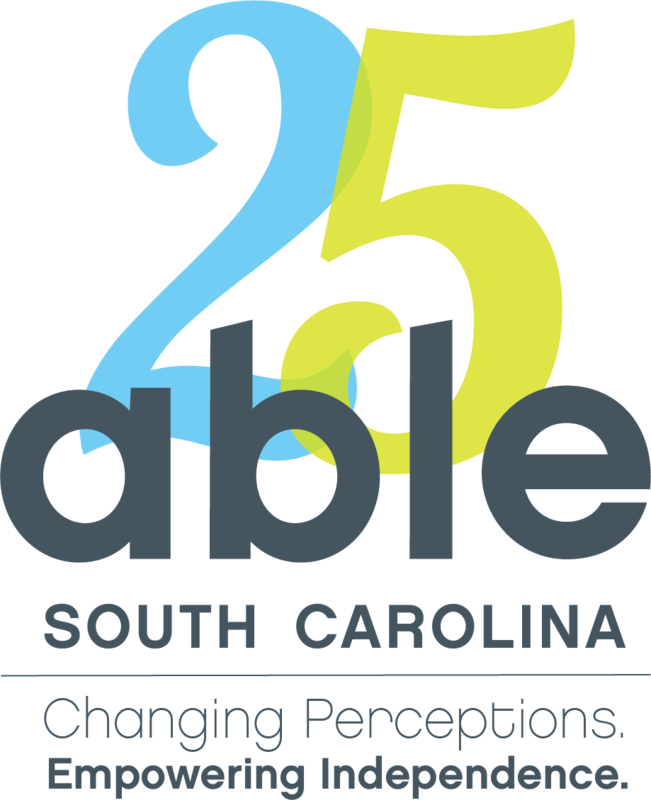 This month marks the 25th anniversary of Able South Carolina. On February 4, 1994, a group of individuals with disabilities opened our doors to provide services and support to others with disabilities! Since that day, we have been working hard empowering people with disabilities and promoting community inclusion throughout our great state. We must admit, when Able SC was founded 25 years ago, we did not know the magnitude of change we would create for people with disabilities in South Carolina. We could not have possibly known that tens of thousands of South Carolinians would learn to live independently through one-on-one sessions, group instruction, and peer mentoring with our team. We could not have known how important our work to create systemic change would be or that thousands of parents and prospective parents with disabilities would come to rely on our efforts to protect their rights. We could not have known how our work would lead an effort to remove employment barriers for individuals with disabilities, nor did we imagine that we would become a nationally recognized disability organization. Yet, we have always known that people with disabilities need our organization. They count on us to challenge stereotypes, break down barriers, and be the positive voice around disability. They count on us to be a safe organization that understands the barriers they face, empowers them to be independent, and sees their disability as a beautiful part of who they are. Most importantly, we know we couldn't offer any of our services without people like you supporting our mission. Without your help, we could not accomplish anything. We are so thankful for every consumer, funder, donor, supporter, friend, staff, and board member who has shaped our organization into what it is today. You all are an important piece of Able South Carolina. While Able SC has accomplished more than we could have ever imagined, we have so much more to do to promote independence for people with disabilities in the years to come. We are excited about continuing to push the disability rights movement forward in SC and preparing our future generations of disability advocates—our youth with disabilities—to take the lead! Now it's time to celebrate! You have played a crucial role in the enduring history of Able SC and we encourage you to participate in the storytelling and celebrations in the coming year. Please share your personal memories with us on social media and use #AbleSC25 in any public posts. If you're committed to creating a more equitable and accessible future for all South Carolinians with disabilities, consider making a donation at www.able-sc.org/donate-online or by completing and returning the included card. Thank you for 25 amazing years! We're looking forward to all we'll accomplish in the next 25 with you by our side.